Have you ever rescued someone from a dangerous situation? Why, yes I have. I find it ironic that on my first official day of retirement, I am writing about an experience from my 30+ year career in recreation as an Aquatics Director. Saving lives, preventing accidents and training lifeguards was my life for many years. It is hard to imagine 16 and 17 year olds saving lives, but they do every day. In my second year working at a public swimming pool as head lifeguard, I had to perform a water rescue to save a young teenager from drowning. He had been diving off the high dive with some skill as I watched him from my lifeguard post in the dive tank. The swimming pool was not very crowded as it was near to 5pm, our closing time. I saw him do a flip this time, but he hit the water too open—landing on his neck and throat. I watched him intently as he swam to the side. I had already walked over to the ladder where he was about to climb out and suddenly he started hyperventilating. Without a thought I yanked him out of the water (no yanking allowed these days due to potential spinal injuries). When he hit the water at that speed and height (3 meters) onto his throat, he started experiencing laryngeal spasms–uncontrolled wheezing and coughing–indicative of a closing airway. He was conscious so I rolled him over onto his back to clear his airway. During these three seconds which lasted an eternity, I had enacted the emergency action plan (EAP) with my long blast of the whistle, to alert the office staff and pool manager. As I positioned him, another lifeguard started CPR. In those days it was mouth-to-mouth breathing with no personal protective equipment. He coughed and sputtered but sat up and seemed okay. A couple of days later, he came back to the pool to thank me and the other lifeguard. I was 21 years old at the time, older than most of the lifeguards at the pool. I do not recall feeling upset afterward or having to debrief, but I remember my deep sense of relief and a slight irritation that I had not started the CPR myself. I will never forget that experience from 34 years ago. 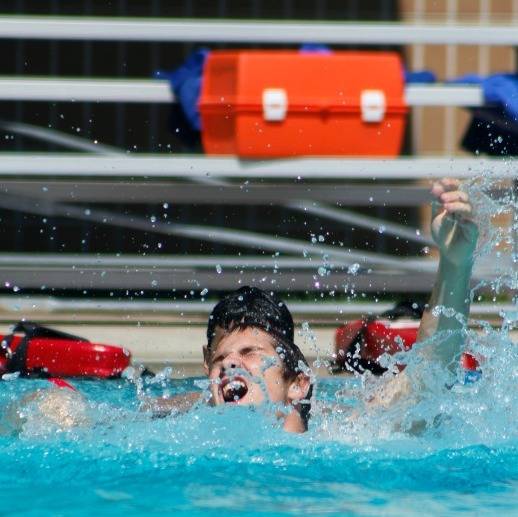 As a former aquatics trainer, I asked second year lifeguards what they remembered about their first rescue. The overwhelming answer was that same sense of relief in not only identifying the victim, but enacting the rescue and navigating the processes afterward. 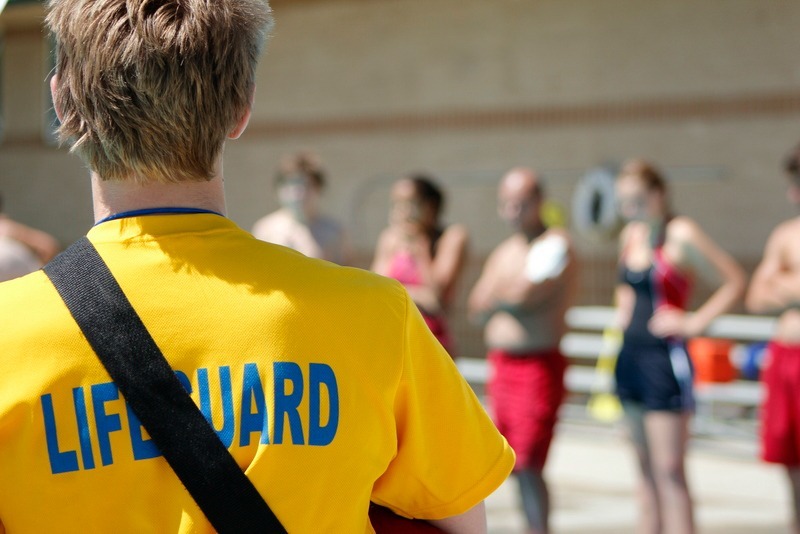 Many young people take lifeguard training, not for the chance to take part in a “daring do” moment, but for the undertaking of new responsibilities on a first job. And the pay isn’t too bad. A large percentage of these lifeguards go on to college, and eventually on to careers in law, medicine, teaching and social work. Perhaps making a rescue during their lifeguarding tenure gives them a strong sense of reality for their future life as a responsible adult. Well at least you learned how to swim. Most parks and rec offer adult swim lessons. I used to teach them. The lifeguards can’t really give pointers while they are guarding. Front crawl is great exercise! Wow! Well done, that’s amazing. You should never forget it and I hope he and his family don’t either!